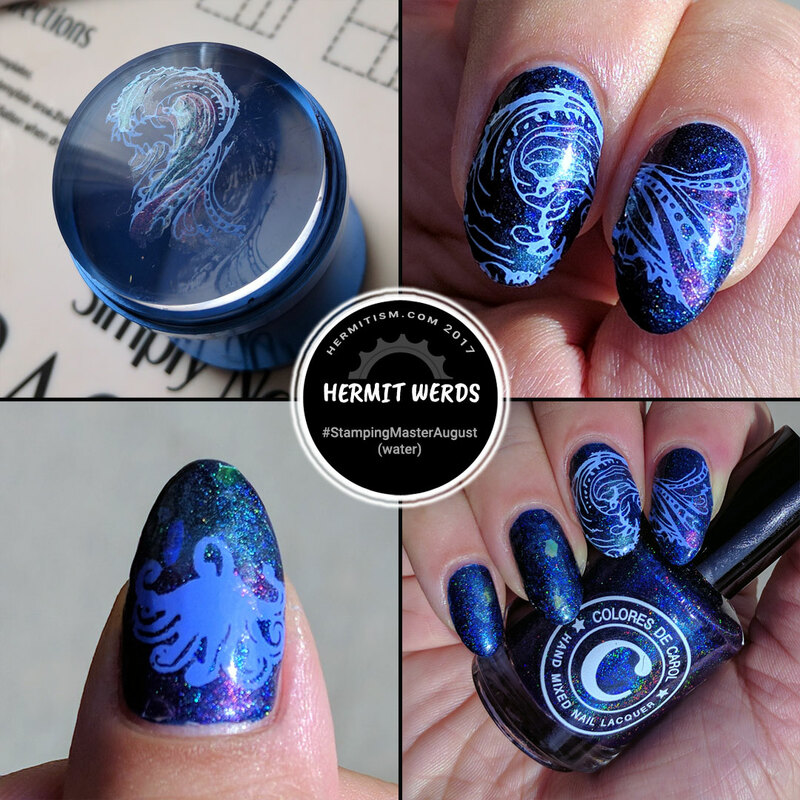 The other nail art prompt that I wanted to cover yesterday was Water for #StampingMasterAugust. Now Jaws had water in it, but it was all painted freehand so it didn’t really fit the name of the group. 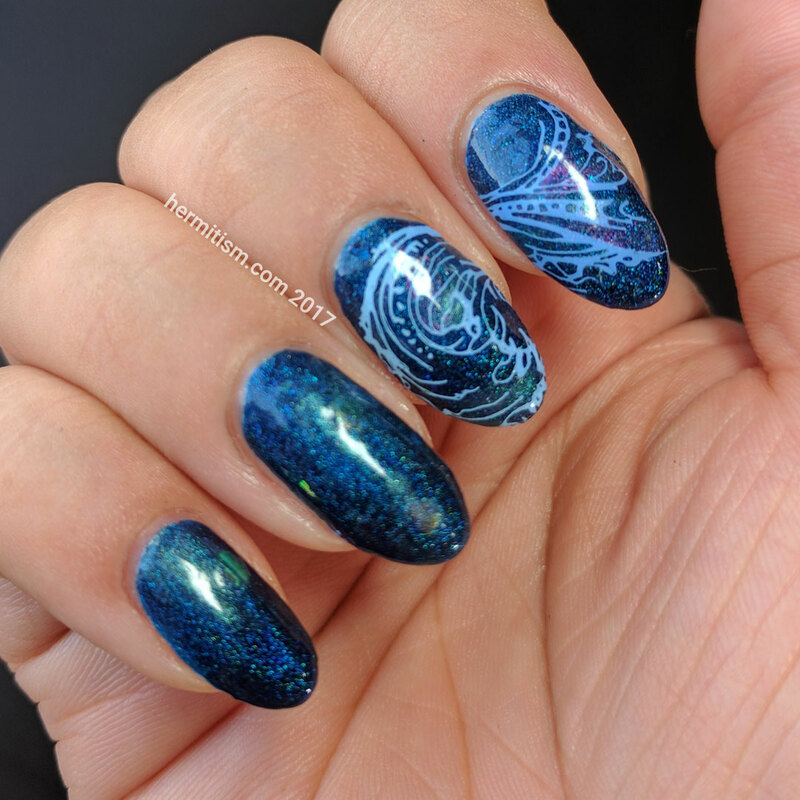 Plus I had this beautiful stamping plate from CICI & SISI with an oceanic theme. I didn’t have much of a plan besides blue so I got started on my free right hand. 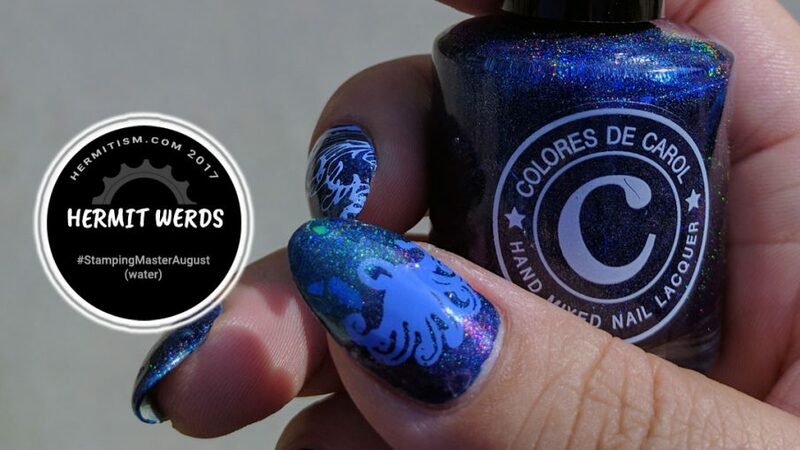 First some lovely dark blue holographic from Colores de Carol and then stamping with Mundo de Unas. I filled in parts of the stamp with a few brushes of sheer irridescent polish from Sally Hansen’s Pearl Crush collection. Then I snagged a few more irridescent sequins from the Sally Hansen bottles and added them to my blank nails. Mission accomplished. And now we’re in full sun. So pretty. I’ll warn you now most of the colorful shimmer you are seeing on thumb is from the Pearl Crush polishes. The Colores de Carol polish is best represented on my pinkie finger which has the least amount of shimmer swirled on top.